Phil Zerofski was born and raised in Tewksbury, MA where summer trips to Cape Cod began a lifelong love of the ocean. He got his Bachelors of Science in Marine Biology from Roger Williams College in Rhode Island and then headed to the Florida Keys to begin his career as an outdoor educator and marine technician. Upon moving to San Diego in 1994 with future wife Amy, Phil started working with Mike Yeakle, the founder of SEACAMP Enterprises, and quickly took on the role of Program Director. In 1997, Mike sold the program to Phil and Amy and they have been in charge ever since. Upon moving to San Diego, Phil became an active volunteer at the Scripps Institution of Oceanography and in 2010 he was approached to take over their position as Marine Collector which was an offer he could not refuse. 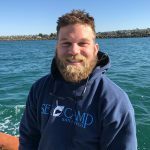 For the last 7 years, Phil has been wearing both hats but remaining active in supervisory and decision making roles as well as staff training and dive mastering at SEACAMP San Diego. Amy Bergen Zerofski originally hails from New Jersey and then Maryland, getting her Bachelor’s Degree from Vassar College in New York State. 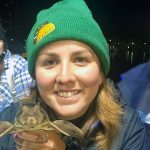 Right out of college, Amy began her outdoor education career teaching Marine Biology at the Newfound Harbor Marine Institute in the Florida Keys. 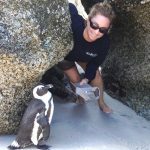 Upon moving to San Diego, Amy gained experience as a classroom teacher and then began her career with SEACAMP San Diego in 1995. In 1997 Amy and Phil took over ownership of SEACAMP San Diego and have had the reigns ever since. Amy also holds a Masters of Marine Science from University of San Diego where she is now also an adjunct Professor. Amy loves to travel with her husband Phil and their daughter Delilah anywhere they can do some fun family snorkeling! 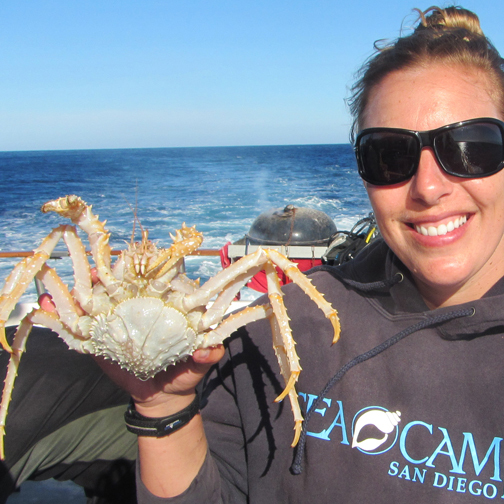 Starting as a Marine Science Instructor, Whitney is our most senior employee. 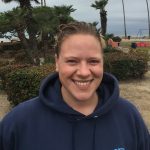 Since her start in 2003, Whitney has been devoted to providing the best experience to every student that attends SEACAMP San Diego. Rising to the Program Director position in 2007, Whitney’s enormous knowledge of marine science and local marine animals is invaluable to our program. She earned a Bachelors of Science from Coastal Carolina University in Marine Science in 2001. Her favorite activity at camp is the Floating Classroom Boat Trip where she is able to interact and share her expertise with students from all over the country. Whitney’s favorite marine animal is a basket star; she is always on the hunt to find this elusive invertebrate. 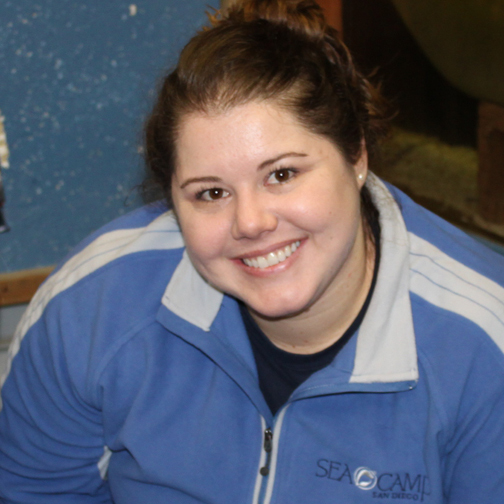 Erika started with SEACAMP San Diego in 2012 and quickly become an integral part of the inner workings of SEACAMP. A native San Diegan, Erika grew up in the North County community of Fallbrook. As one of the few non marine science majors, Erika has made great strides to improve her marine science knowledge. Earning her degree in Journalism and Mass Communication from Arizona State University in 2008, Erika brings a level of organization and precision to her position as Administrative Director. She loves speaking to and helping teachers and parents learn more about SEACAMP San Diego. When you call the office you will likely speak to her or her counterpart Sue. Sue is originally from Baltimore, MD. She attended Virginia Tech where she received her Bachelor’s Degree in Environmental Science with a minor in Chemistry. After graduating college in 1997, she moved to California after accepting a position as a Science and Outdoor Education Instructor at the Desert Sun Science Center. The following year, she moved to San Diego to become a high school math and science teacher. Prior to working at SEACAMP San Diego, Sue was Manager of Science Content at Scantron, where she managed the science portion of their K-12 educational products. This included developing, writing, and reviewing science materials and aligning them to state science standards. She received her Master’s Degree in Education from San Diego State University. Besides traveling, running, and hiking, Sue enjoys spending time playing tennis and going to the beach with her two boys. Ariel grew up in San Diego and fell in love with the ocean when she attended her first SEACAMP San Diego in the 6th grade. She continued to attend SEACAMP throughout high school where her passion for physical ocean science grew. This passion lead her to pursue a degree in Ocean Science at UC Santa Cruz in 2011, where her primary emphasis was on harmful algal blooms and the accumulation of phytoplankton toxins in invertebrates. Ariel’s favorite animal is the toxic phytoplankton Pseudo-nitzschia. 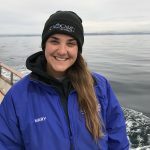 At SEACAMP San Diego, she loves sharing her passion for the ocean with kids from all over the world and providing them with the same amazing experience she had as a child. SEACAMP San Diego’s program holds a very special place in Ariel’s heart and she hopes to influence another generation of ocean-minded thinkers. Raised in the land-locked state of Colorado, Allie discovered her passion for the ocean after visiting SeaWorld in San Diego in 7th grade. She had decided to become a marine biologist after a dolphin encounter at SeaWorld and went on to major in marine biology at the University of Hawaii at Manoa. In Hawaii, Allie studied coral reef ecosystems and began scuba diving. She then pursued a Masters degree from the University of Washington, where she studied the human dimensions of marine science. Allie loves teaching SEACAMP students about the incredible invertebrates that live in the ocean! Outside of camp, you can find her leading scuba dives around La Jolla and taking her puppy on hikes. Growing up in Sag Harbor, New York, Rachel was drawn to marine biology because it combined her love of the ocean with her dedication to science. She enjoyed sailing, surfing, junior lifeguarding, and anything that involved the ocean and the beaches of Long Island. In 2013, she moved to California to pursue a Bachelor’s degree in Environmental Science at the University of California, Santa Barbara. She graduated in 2017 and moved to San Diego the following fall. After graduation, Rachel volunteered in the Sandin Lab at Scripps Oceanographic Institute and at the Birch Aquarium. 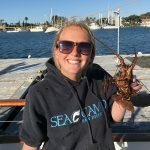 Working at SEACAMP San Diego ties Rachel’s love of ocean activities with marine biology, allowing her to bring fun, educational experiences to the next generation. Her favorite thing about being a marine science instructor is opening the door to endless questions about how to make this world a better place and how to apply a scientific way of thinking to any problem we may face. Brendan was born in Long Beach, California and has always been drawn to the ocean. As a child, Brendan spent his summers with his grandmother where he had the opportunity to attend summer camp at Dana Point Marine Institute. Due to the influence of his summer experiences, Brendan attended college on northern California coast at Humboldt State University. 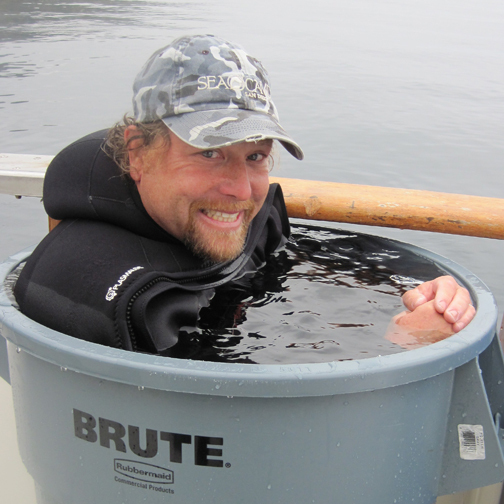 He majored in Recreation Administration with a focus in Dive Safety and minored in Scientific Diving and Business. His favorite marine animal is the great hammerhead shark and he loves to share his passion for sharks with the SEACAMP students. When he is not teaching about the ocean, you can find him surfing or scuba diving! Ever since Mary was young she has always been passionate about the water. Growing up in Grand Rapids Michigan, she frequently visited the unsalted shoreline and got her SCUBA certification to explore shipwrecks in the Great Lakes. She became fascinated with the ocean during visits to Florida to see her grandparents. However, it wasn’t until a snorkel trip in Belize that solidified her desire for a degree and career in marine biology. Mary attended Michigan State University where she obtained a bachelor’s in Zoology with a concentration in Marine Biology. Mary is going into her second year with SEACAMP San Diego. 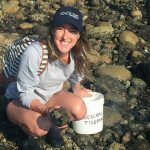 Her favorite SEACAMP activity is visiting the San Diego Zoo, but her favorite thing about being an instructor is teaching the kids all about physical oceanography on beach walks and the importance of conservation. Although John grew up in Minnesota, it didn’t stop his passion for nature and the ocean. John’s love of biology started at a young age. He spent his childhood sailing and camping at lakes in northern Minnesota. During his high school years, he spent his summers educating families about the Boundary Waters Canoe Area. 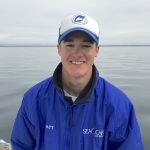 His love of the ocean grew when he went to school in Orlando, Florida studying the ocean, and then receiving a bachelor’s degree in Biology from Rollins College in 2015. 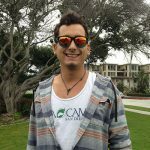 John relocated to San Diego in 2018 to finally be near the ocean and to work at SEACAMP teaching what had always inspired him. His favorite part of working at SEACAMP is being on the water all day for our summer program’s full-day boat trips. Hannah grew up in a small town in Connecticut where she frequently could be found in any body of water she could find. She attended college in the White Mountains of New Hampshire at Plymouth State University where she received a bachelor’s degree in biology. During her time at Plymouth State she studied abroad in the United States Virgin Island of St. Thomas where her love for the ocean truly caught fire. 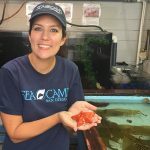 One of Hannah’s favorite things about working at SEACAMP is seeing the camper’s passion for marine sciences catch fire the same way that hers did. Hannah’s favorite activity at SEACAMP is snorkeling in La Jolla Cove during our Summer Camp Program. Ashley decided around the age of 10 years old that she was going to pursue a career as a marine biologist. She has always been curious about the diversity of marine animals and how they live in such a challenging environment. 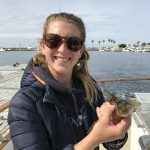 How these animals and ecosystems are affected as our ocean climates change was a topic of focus for her during her master’s degree at Scripps Institution of Oceanography and during her time teaching young students with the California Department of Fish and Wildlife. Ashley’s favorite animal is the mimic octopus, and her favorite thing about SEACAMP is being surrounded by people who share the same excitement and passion for the ocean and its animals as she does. Being able to explore the ocean with students both above and underwater allows her to show just how cool marine biology is! Growing up in Miami, Florida, Rob first fell in love with Marine Biology when he attended Sea Camp Big Pine Key in the Florida Keys in 5th grade. Throughout his childhood, he enjoyed fishing and snorkeling on trips with his family. After Rob received a degree in Marine and Freshwater Science from Colgate University in 2014, he studied artificial reef communities using underwater acoustics and remotely operated vehicles, eventually obtaining his master’s in Biology from the University of Texas Rio Grande Valley in 2017. Since moving to California, Rob has become infatuated with surfing and loves to scuba dive as well. 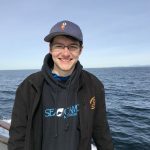 His favorite part of SEACAMP is seeing dolphins and whales on the boat trips, and teaching students about marine mammals. He loves inspiring students to learn about the ocean and its inhabitants, and his favorite animal is the orca whale. Mel grew up on the plains of Northern Minnesota, spending summers out on the lakes and winters trapped indoors. He was first exposed to the ocean on childhood snorkeling trips to the Florida Keys with his family, which convinced him to start SCUBA diving to further explore the marine world. While in school at the University of Minnesota, he became fascinated with fish ecology and discovered a passion for teaching science. In 2018, Mel graduated with a bachelor’s degree in Ecology, Evolution and Behavior with a minor in Marine Biology. He has studied fishes in the streams of Minnesota, the Chesapeake Bay, and on the coast of Honduras. Mel relocated to San Diego after graduating and enjoys SCUBA diving at La Jolla shores in his free time. His favorite part of the SEACAMP San Diego program is taking students out on boat trips to watch dolphins and trawl for benthic animals. Full profile for Barra coming soon! Full profile for Anna coming soon! Full profile for Garrett coming soon! Full profile for James coming soon! Matt has always been fascinated by the ocean, even growing up in landlocked Toledo, Ohio. At a young age he solidified his interest for marine life as a volunteer at the Toledo Zoo. He received a bachelor’s degree in Zoology from Ohio State University in 2017. Before joining the SEACAMP team in 2018, he first worked as a marine science educator in the Florida Keys. Matt loves snorkeling with our SEACAMP students and finding cool critters to show them. Matt’s favorite marine animal is the mantis shrimp!